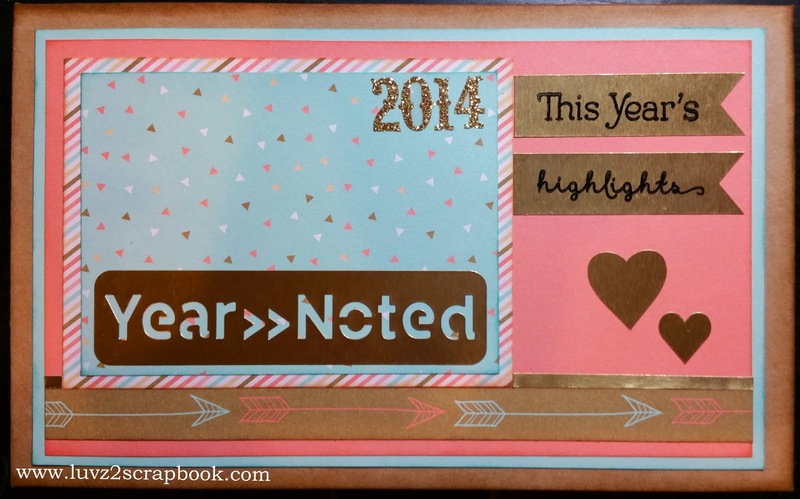 Welcome to our special edition Blog Hop featuring products from our National Paper Crafting Month Kit "Year Noted"
If you have come here from Brenda's Blog, you are on the right path! The blog hop is a great big circle, so you can start here and work your way all around. 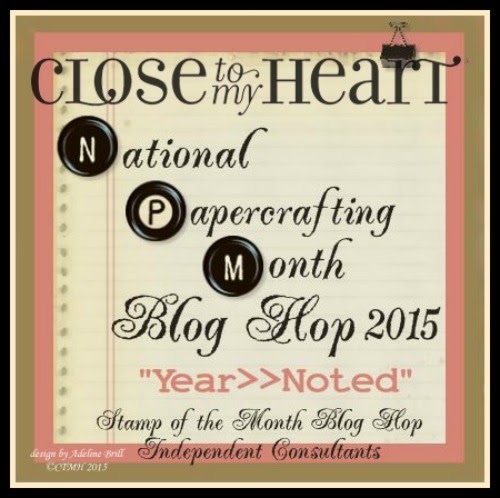 This month we have 23 Close To My Heart Consultants sharing their creations using the National Papercrafting Month kit and other great CTMH products on their blogs. This is simple to do - just click on the link at the end of the post on each blog to move to the next one! Here we go! 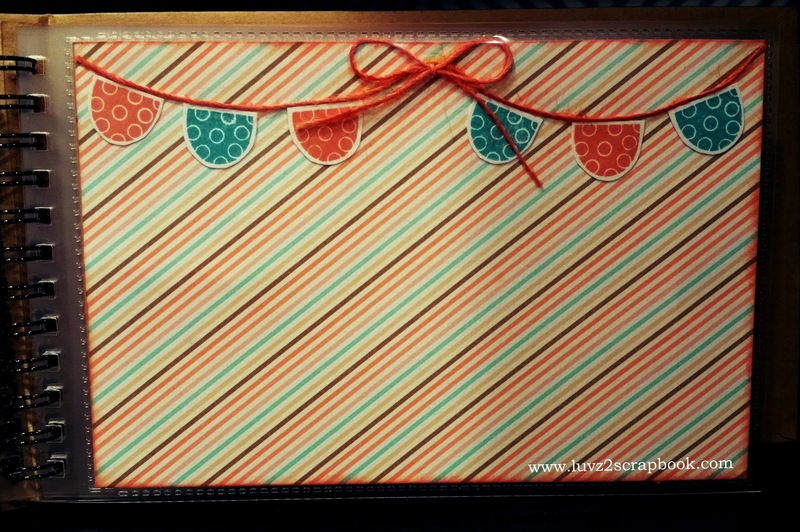 I created this Kraft Mini Book to celebrate National Papercrafting Month with Close To My Heart. 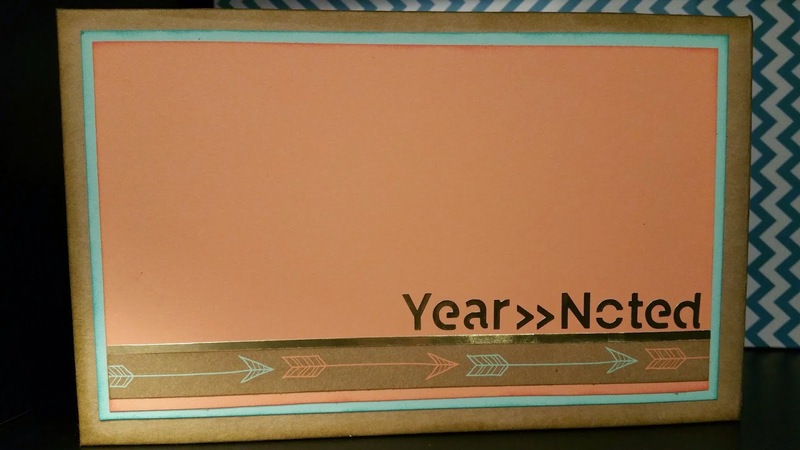 We have all been invited to create something that can help reflect on our accomplishments and memories of the past year and journal our goals for the new year. 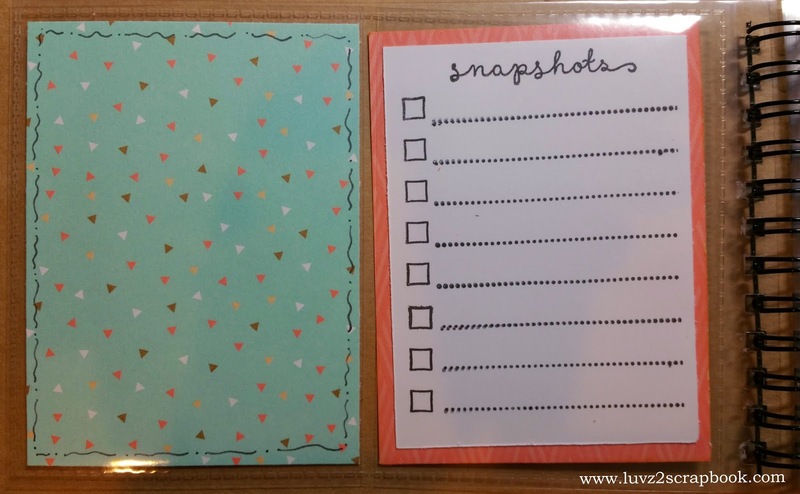 For this project, I will not be sharing step-by-step directions, however, I will be sharing pages from my mini book that showcase how the products included in the kit can be used to make your "Year Noted" book. Now "Hop" on over to Pam's Blog to see her work! Be sure to visit all the Consultants at their Blogs to get some great crafting ideas and other fun ideas! 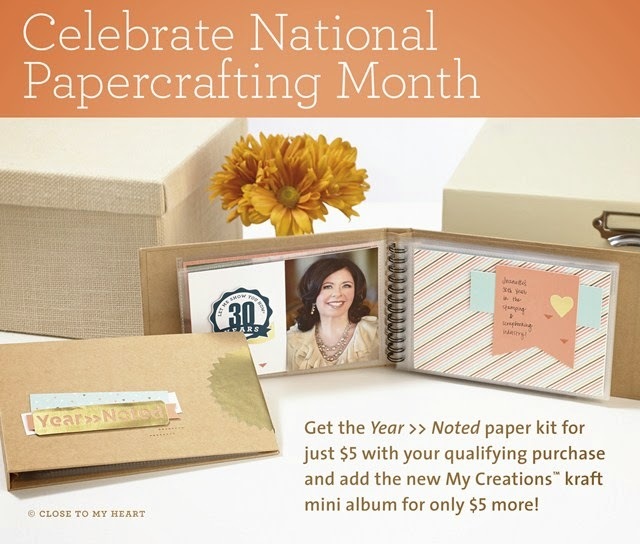 Remember, the National Papercrafting Month Year Noted Kit is only available until January 31, 2015! Contact your CTMH Consultant (or click here) to order your Close To My Heart products. Adorable doesn't seem to say how wonderful I think your mini album and thank you card are. 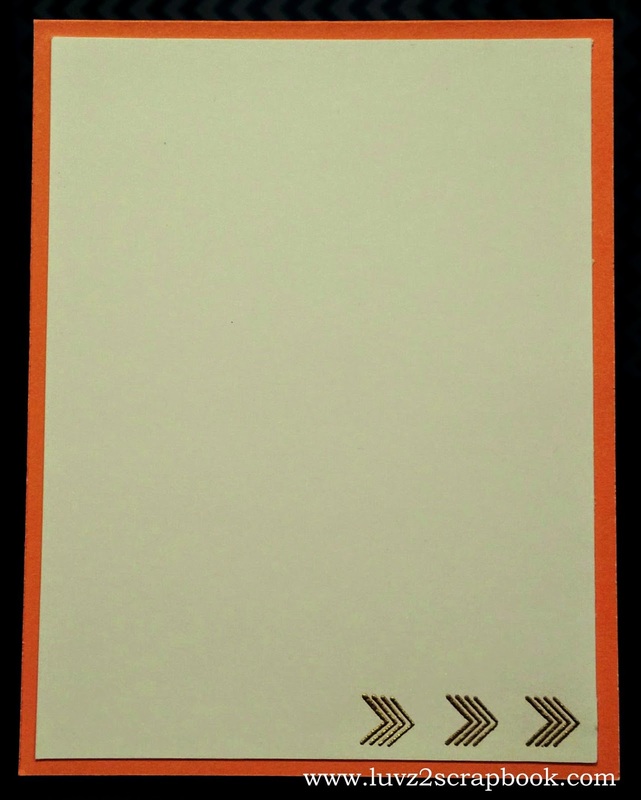 The heat embossing on your card is so beautifully done that at first I thought it was stickers. Super cute album!! 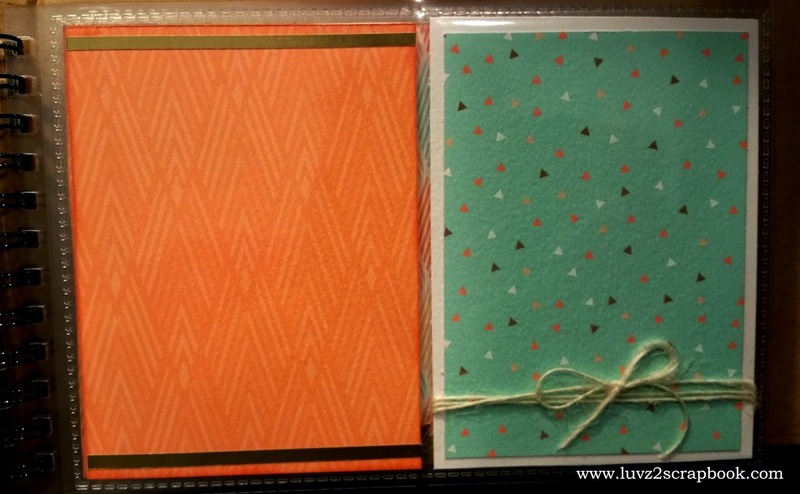 Love the page with the embossed hearts and faves stamped in between. 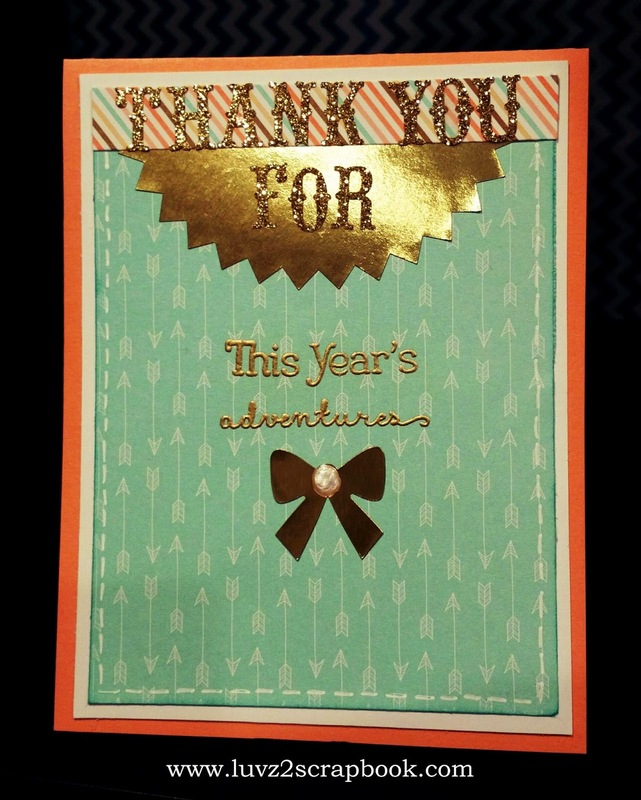 And your Thank you card is so lovely! 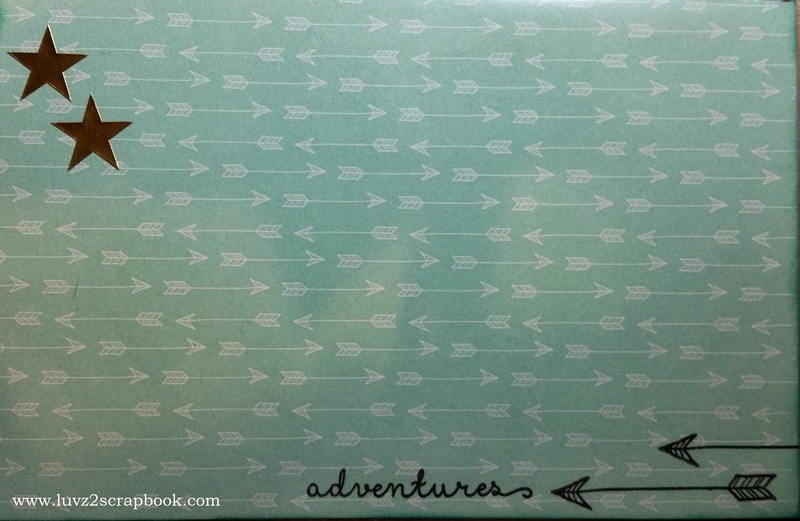 I love the embossed and stamped page as well = this is wonderful! 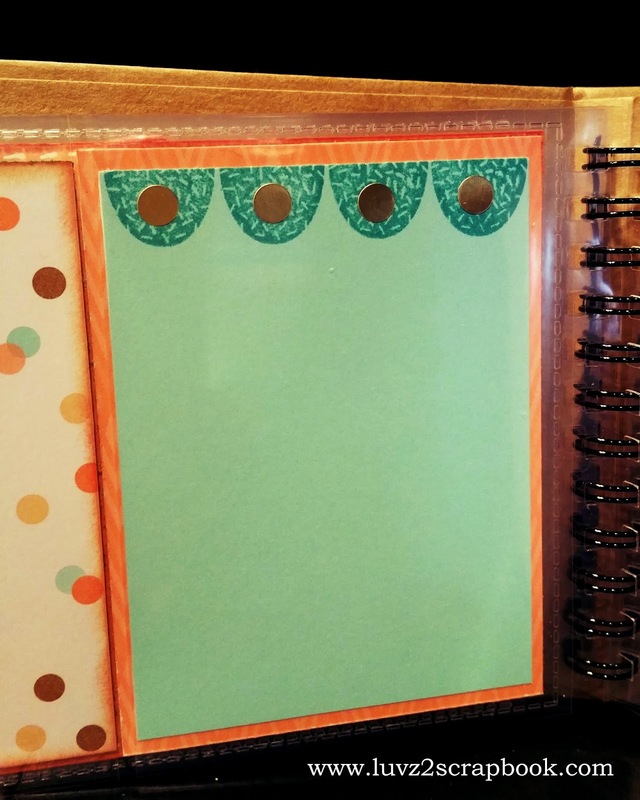 That embossing page is amazing, and I love your banner over the striped paper too! What a great job, Love, love the heart and forever page. LOVE that faves pocket card with the embossed hearts!!!! Lovely mini album. I love the addition of the pixie twine too! 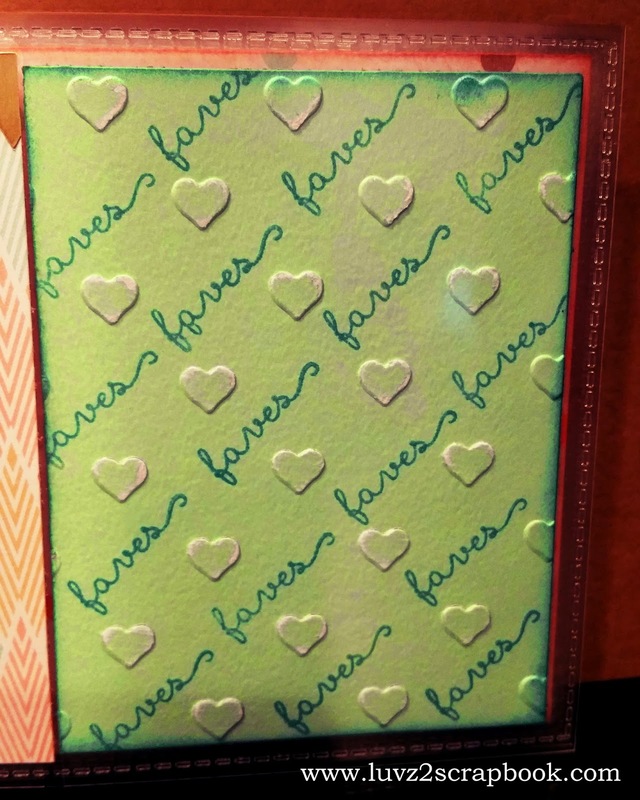 Love your mini album...my favourite page is the embossed hearts with the word faves stamped randomly. Great card as well. Oh my, I love the pages that you created for your mini album! My favorites are the ones with the mini banner and the embossed hearts. How precious!